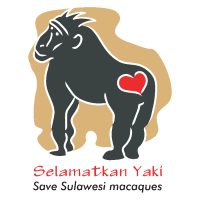 Selamatkan Yaki (SY) is a research, education and conservation programme operating under the Whitley Wildlife Conservation Trust, UK and local foundation Yayasan Selamatkan Yaki Indonesia (YSYI) whose goal is to reduce the threats to the Sulawesi crested black macaque (Macaca nigra) and its habitat. SY is seeking a highly motivated and qualified individual to help lead the team and coordinate research and conservation projects. The Programme Coordinator (PC) will lead on an established research project which monitors the status and threats of wild macaques, the continuation of integrated wildlife trade mitigation research and support the evaluation of the education project. The PC will analyse and distribute the results internally and externally to ensure their usefulness in informing the conservation approach of SY and stakeholders. The role will be based in North Sulawesi, Indonesia and will be offered a 24-month contract as it requires significant commitment for project development, implementation and evaluation. The ideal candidate will have experience working abroad (preferably in Indonesia), possess strong communication skills and proven competencies in designing, implementing and coordinating research and conservation projects.